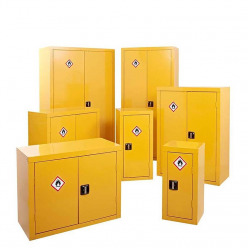 This range of hazardous substance storage is our best seller. We have a size available for all your requirements. This range of cupboards and cabinets enables the separate storage and transportation of hazardous substances as demanded by the CoSHH regulations.